Just a scant 4 days before the Obama Ballot challenge was heard in Atlanta last Thursday, the web page for an organization called the Southern Legal Resource Center listed its board of directors (preceding link to January 22 cached version) and on that board was a Knoxville attorney named Van R. Irion, the same attorney that represents David P. Welden in Welden v. Obama in Georgia. Today that organization lists no board of directors, and the former Director URL returns 404 Not Found. The Board of Advisors page is similarly unavailable. 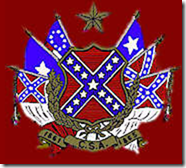 So what is this SLRC organization whose emblem is shown above? The suit charges that the students’ constitutional rights were violated between May of 2005 and January of 2006, when they were subjected to disciplinary action for wearing items of clothing bearing the Confederate flag. The action taken against the students, as well as the ban on Confederate symbols itself, violates their First Amendment rights of free speech. The disciplinary action taken against them also violates Fourteenth Amendment principles of equal protection and due process, the suit alleges. Knoxville Attorney Va[n] Irion is acting as counsel for the students and their families, supported by the Southern Legal Resource Center of Black Mountain, North Carolina . The SLRC, as it is known, is a legal organization that specializes in civil rights cases involving Southern heritage and culture issues. In addition to pages with content like the above, it also contains an page critical of Morris Dees and the Southern Poverty Law Center. The one link that struck a familiar cord was an article called: “Racist!” as an Epithet of Repression. 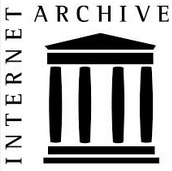 It would seem to me based on the short time frame (4 days or less) between the pages disappearance and the Georgia hearing, that it is likely that pages were removed from the SLRC web site to prevent anyone from linking the SLRC and it’s goals with the ballot challenge in Georgia through Mr. Irion’s participation in the two. The discerning reader should detect a decidedly neutral characterization of the SLRC in this article. It is what it is, and no one needs me to tell them what to think. Thanks to a commenter here for the tip. I would note that the Board of Advisors page is there, but it’s just a blank placeholder. The Board of Directors page is actually missing, having been (hastily?) deleted or renamed after the 22nd. The organization didn’t release any memos in 2011. Guess they were busy pursuing other endeavors intended to protect their ‘heritage’. It appears that the last election struck them as one heck of a ‘heritage violation’! A’birthin’ we will go, a’birthin’ we will go …. Just imagine all the fun foolishness that could lead to. White Southerners as a persecuted, displaced minority. A landless, occupied people … forced to subsist in a land filthy with fast food and WalMart. They imagine themselves Palestinians, but wouldn’t enjoy that comparison! the question came from Tom Crawford of Capitol Impact. 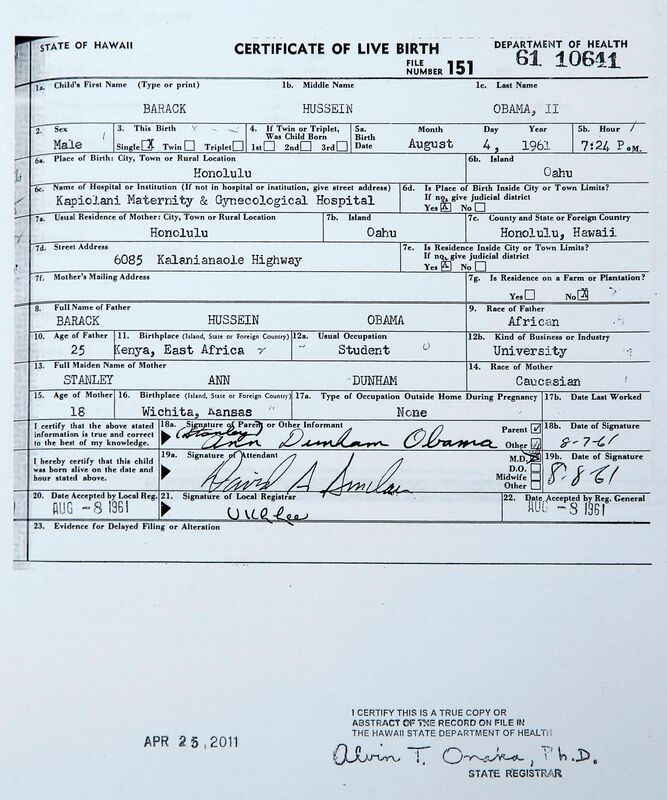 Do you believe that Barack Obama is a native-born American citizen who is eligible to serve as president? I am asking because your comments on this issue have been a little ambiguous. I would appreciate your clearing this up. I am joining several of my colleagues in the House in writing a letter to the President asking that he release a copy of his birth certificate so we can have an answer to this question. It seems to imply that he doen’t buy the two citizen parent thing as a BC is meaningless for that purpose and it is a given that the President’s father was not a citizen. 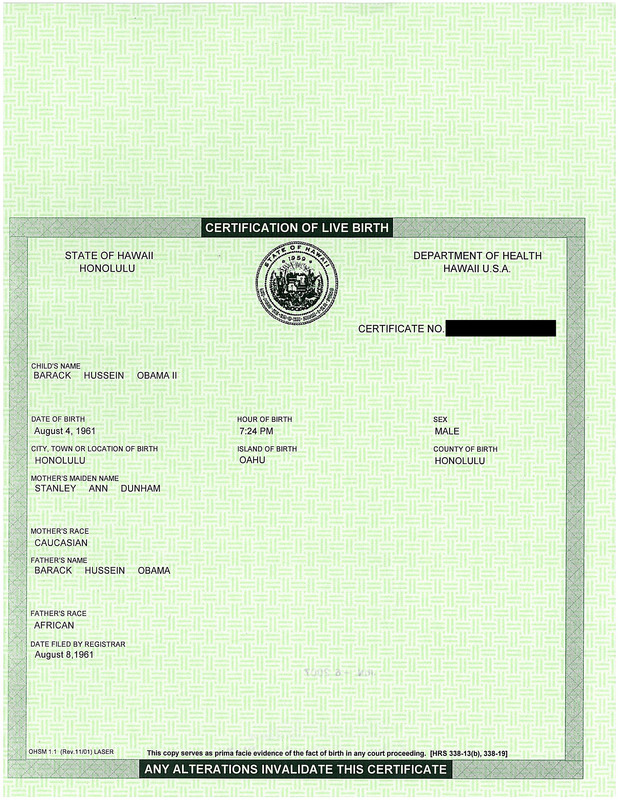 I think we would all be better off if we would draw a distinction between birther & birther-panderer. The opinion of a panderer is about as reliable as a position statement from Mitt Romney — it kind of depends on the audience and the way the wind is blowing. Calling for the release of the b.c. before April of 2011 was a pretty easy call for a panderer — along with the oft-repeated phrase, ‘he could easily put an end to this, if only”. It’s tacky, but not surprising. When Mark McGrew got involved with the whole “Birther Summit” thing, he removed articles from his website, including an article that was published in “Pravda Online” praising the KKK. And both Jerome Corsi and Tim Adams appeared on the white nationalist radio show “Political Cesspool”. When World Nut Daily reported on Tim Adams election claims, they omitted that part, along with the fact he gave his interview while attending a white nationalist convention. Again, this is really not a surprise. You cant hide from the internets. Once you put it out there, it’s in a cache somewhere. Seems Mario was correct. Now comes the race card…its all they have. Obama failed to prove to the court hes a legal president. Stop bringing race to this issue. Its not about race. dancingrabbit: Now comes the race card…its all they have. Which one of these posts on http://viletweets.com/ is yours? It is about race. Obviously. When someone argues that the 14th Amendment doesn’t apply … it’s about race. When someone argues that some born citizens are 2nd class citizens because of who their parents are … it’s about race. 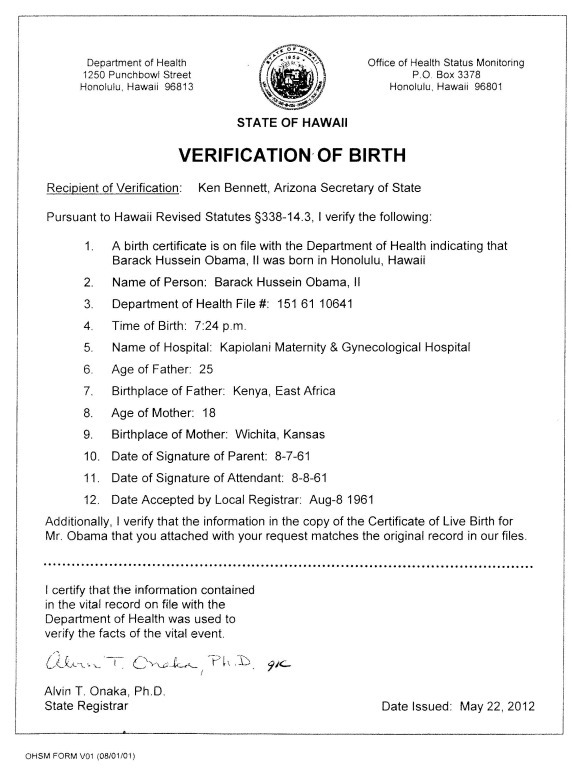 When people are still claiming that they don’t know where a man was born after he’s publicly released 2 birth certificates and the top officials of his home state have vouched for their veracity … it’s about race. 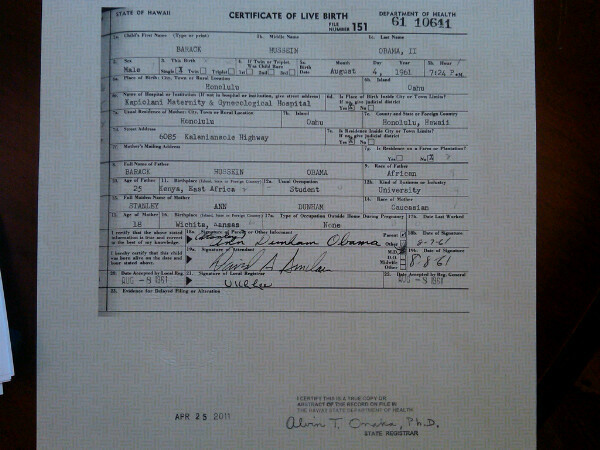 You birthers can go ahead and play your games, but you’re not fooling anyone. It’s about race and everyone knows it. Rabbit, what is this, Birther ex pat week? It’s about race for some birthers, and it’s about politics for some birthers, and it’s a mental disorder for others. Which are you? dancingrabbit: Stop bringing race to this issue. Its not about race. Dr. Conspiracy: It’s about race for some birthers, and it’s about politics for some birthers, and it’s a mental disorder for others. Expelliarmus: You birthers can go ahead and play your games, but you’re not fooling anyone. It’s about race and everyone knows it. Well, either that or the monthly check from the Coke (SIC) Brothers. Maybe we should let the South secede again, so they can have their own country to **** up. Not going to happen though. That door closed definitively after the last Civil War. States don’t have the right to secede from the USA – period. Further, the modern world dynamic and infrastructure would prevent any such attempts from getting off the ground. They would simply be stopped before they could gather any true steam and momentum. David: Maybe we should let the South secede again, so they can have their own country to **** up. Except that you can find racist or bigoted nut jobs almost everywhere. * The accuracy of this snark depends on precise collection of states nominated for expulsion. G: That door closed definitively after the last Civil War. States don’t have the right to secede from the USA – period. Another way of looking at this is that states don’t have the right to secede unless they are willing and able to fight and win a war for their independence. This isn’t really a substantially different status quo than prior to the Civil War. Considering how much military infrastructure exists among the states, and assuming that the materiale and personnel (entire intact chains of command and supply chains) would be persuaded by some issue so divisive as to divide the nation towards fighting a rebellion, it might not be outside the realm of possibility that disunion again becomes possible. If the issues were as divisive, but less universally quantifiable in moral terms (e.g., something other than slavery), it could possibly happen. In today’s social framework of self-centeredness and apathy, no way. Not quite true. There was an open issue of nullification and whether states had the right to leave the union that was a matter of very heated debate, up until the Civil War put those questions to rest. As you said, it would require an outright war for independence to alter things…as it did the last time around. However, leading up to the Civil War, the Southern states had some reason to believe that they could simply break away and get away with it, without requiring a full out war. There is considerable academic debate of how persuadable some of those states might have been to go through with their act of secession in the first place, if their populace truly grasped the serious consequences of facing an outright war. Many simply believed that the North would acquiesce to their demands. James M: This isn’t really a substantially different status quo than prior to the Civil War. 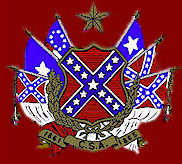 Because of the last Civil War, it is crystal clear that an attempt of secession from the Union is an act of war. This isn’t a banana republic, where such military coups could be plotted and sustained, without being thwarted by other members of the military, who take their oath to the nation very seriously. For the very reason that we have government and military bases throughout all of our states, I believe it would only be MORE difficult for any act of rebellion to succeed. With modern communications, it would be hard for any rebellious movement to build its base and momentum without being quickly found out. With modern modes of travel and government facilities everywhere, appropriate forces could be deployed to any area of such insurrectionist dissent to put a stop and quash that movement within hours. No, I doubt anything of the type of “secessionist fantasy” we see from the RWNJ blogosphere could achieve anything more than a Waco or Ruby Ridge type of face off. We don’t even need military forces to quash such attempts of rebellion these days, just the proper types of law enforcement. James M: Considering how much military infrastructure exists among the states, and assuming that the materiale and personnel (entire intact chains of command and supply chains) would be persuaded by some issue so divisive as to divide the nation towards fighting a rebellion, it might not be outside the realm of possibility that disunion again becomes possible. I can’t think of anything in the realistic horizon that would qualify to make it possible. You would need some other collapse of the existing modern infrastructure/government in order to even facilitate the possibility. I do agree with your point about the current social framework and apathy. That too factors in to reduce the likelihood of any real uprising. James M: If the issues were as divisive, but less universally quantifiable in moral terms (e.g., something other than slavery), it could possibly happen. In today’s social framework of self-centeredness and apathy, no way. No, I doubt anything of the type of “secessionist fantasy” we see from the RWNJ blogosphere could achieve anything more than a Waco or Ruby Ridge type of face off. There isn’t actually an issue of sufficient weight to be all that divisive. RWNJ fantasies about socialists usurping the nation notwithstanding, I couldn’t tell you which of the twelve or so birthers would be the most likely to fire the first shot of their revolution, but I can tell you with certainty it would be the last. G: I can’t think of anything in the realistic horizon that would qualify to make it possible. You would need some other collapse of the existing modern infrastructure/government in order to even facilitate the possibility. There are many scenarios by which countries have split apart that didn’t involve civil war. Look at a map from 20 years ago and see how many countries have split apart-Yugoslavia, Czechoslovakia, the USSR, of course. Sudan just split (South Sudan became independent). Belgium could split into Flanders and Wallonia at any time. Admittedly, there are cultural and linguistic differences involved in those cases that don’t really apply to the same extent between regions of the US. But Scotland is going to have a referendum on independence from the UK in 2014. While there are some unique cultural aspects to Scotland, they speak English and very few Scots speak Gaelic or wear kilts. The fact that there was civil war in 1860 doesn’t preclude some future division of the US into a few independent regions linked together in some kind of common market (say through NAFTA). Nor does it say such a split couldn’t be amicable or that such a split could only be promoted by RWNJs. It could be left-leaning states tired of a right-wing federal government and constant wars. The most active independence discussion right now is actually in Vermont, where some fairly serious people have suggested leaving the US and either joining Canada or making some loose confederation with nearby states and provinces. I would call such scenarios unlikely, but not impossible. I’d make a much simpler argument, that any attempt to secede or expel any state or states would be contrary to a basic function of the federal gov’t, that of providing for the general welfare of the people. No scenario that I can think of leads to an improved situation overall for the remaining union and/or the separated state(s). Not even if it was Texas (*cough*). If you look at a map from 20 years ago, there are a whole bunch of countries that have split up-Yugoslavia, Czechoslovakia, the USSR. In the case of Czechoslovakia and the USSR the breakup was peaceful. Belgium could easily split into Flanders and Wallonia and I doubt they would go to war over it. It’s true that in those cases there are linguistic and cultural differneces. However, Scotland will hold a referendum on splitting from the UK in 2014. While ther are some cultural differences, they speak English, only a few even know Gaelic and they don’t wear kilts to the office. Nor would a split in the US necessarily involve RWNJs splitting from a “socialist” federal government. There is an active independence movement in Vermont, with serious people at least talking about it and kit is because they see the federal government as dominated by corporate interests and prone to war. I agree such scenarios are unlikely, but they are not impossible. Scientist – Apparently, you didn’t actually read through my posts on the topic… or else I wasn’t being clear enough in my position. I’m talking about the modern USA specifically here. The dynamics of this country, coupled with its particular history and status as a stable, first world, modern nation is arguably a very different and perhaps even unique case. Therefore, those other scenarios of other nations, etc. are not really comparible to the likelihood of such event happening in this country during current times.There is certainly no direct comparison between other continents, which have a very long history of different ethnical and regional territorial claims and how this nation was built. Second, the Vermont Republic nuts aren’t anything special or really even new. Similar types of extreme libertarian “Free State” movements have been around for quite awhile and there is quite a haven of them in that portion of the New England region (both Vermont & NH in particular) as well as in parts of the more sparsely populated West. They are faniciful notions that will continue to go nowhere, as they always have. Scientist: There are many scenarios by which countries have split apart that didn’t involve civil war. Look at a map from 20 years ago and see how many countries have split apart-Yugoslavia, Czechoslovakia, the USSR, of course. Sudan just split (South Sudan became independent). Belgium could split into Flanders and Wallonia at any time. Admittedly, there are cultural and linguistic differences involved in those cases that don’t really apply to the same extent between regions of the US. But Scotland is going to have a referendum on independence from the UK in 2014. While there are some unique cultural aspects to Scotland, they speak English and very few Scots speak Gaelic or wear kilts.The fact that there was civil war in 1860 doesn’t preclude some future division of the US into a few independent regions linked together in some kind of common market (say through NAFTA). Nor does it say such a split couldn’t be amicable or that such a split could only be promoted by RWNJs. It could be left-leaning states tired of a right-wing federal government and constant wars. The most active independence discussion right now is actually in Vermont, where some fairly serious people have suggested leaving the US and either joining Canada or making some loose confederation with nearby states and provinces.http://vermontrepublic.org/ I would call such scenarios unlikely, but not impossible. JPotter: I’d make a much simpler argument, that any attempt to secede or expel any state or states would be contrary to a basic function of the federal gov’t, that of providing for the general welfare of the people. No scenario that I can think of leads to an improved situation overall for the remaining union and/or the separated state(s).Not even if it was Texas (*cough*). G: Second, the Vermont Republic nuts aren’t anything special or really even new. Similar types of extreme libertarian “Free State” movements have been around for quite awhile and there is quite a haven of them in that portion of the New England region (both Vermont & NH in particular) as well as in parts of the more sparsely populated West. In general, the movements in the West are right wing, while the Vermont people are generally left-wing. In the aspects of avoiding foreign wars, they may take similar positions, but the Vermonters support strong social programs like single payer heallth care, which are anathema to right-wing libertarians. What I’m questioning are statements like “Never”. That’s a long time. What about 1,000 years? Will the US exist in 3012 within the same borders that exist today? It’s not impossible, but based on history that is a long shot. I’m not saying I see imminent break-up or within our lifetimes, but I hesittate to predict very far beyond that. Yeah, I agree with that. They are still all living in fantasy land. Scientist: In general, the movements in the West are right wing, while the Vermont people are generally left-wing. In the aspects of avoiding foreign wars, they may take similar positions, but the Vermonters support strong social programs like single payer heallth care, which are anathema to right-wing libertarians. ??? Again, where are you coming up with this “never” implication. I neither said nor implied that at all. You are greatly misinterpreting the phrase “realistic horizon” and the broader context of everything I was discussing. To make it clear – I’m specifically talking about CURRENT times and the near-term future horizon. Stuff that we can forsee within the next decade or less. Purely sticking to observable dynamics and trends that actually exist right now. None of that supports the ability for another US Civil War to suddenly emerge. Beyond that, I definitely can’t say that the US will exist 50 or 100 years from now, let alone 1,000 years. The further out you get in time, the greater the number of unforseen and unpredictable factors come into play. So NO, I did not imply “never”…nor would I ever be so impractically silly to do so. I wouldn’t even go as far as to say such things couldn’t happen within our lifetimes…just *not* NOW or during this next election cycle. Scientist: What I’m questioning are statements like “Never”. That’s a long time. What about 1,000 years? Will the US exist in 3012 within the same borders that exist today? It’s not impossible, but based on history that is a long shot. I’m not saying I see imminent break-up or within our lifetimes, but I hesittate to predict very far beyond that.